Anti-bacterial Hand Soap is a 30 pack of dissolvable sheets that provide just the amount of soap you need, wherever you need it! Travel-size, convenient and easy to use. 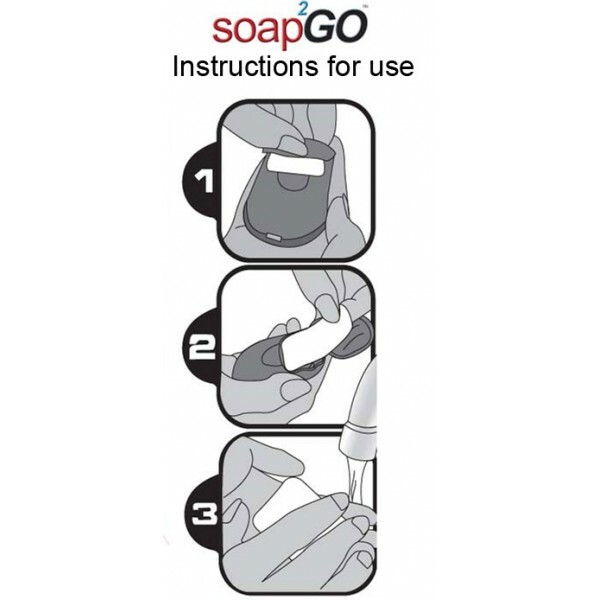 What is soap2GO Handwash Sheets of Soap all about? 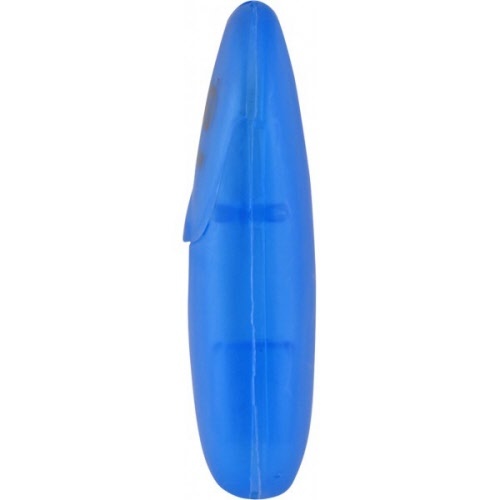 They're a backpacker's best friend, a camper's dream come true and a lifesaver for out and about parents. 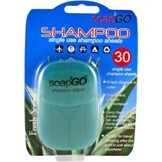 The soap2GO Paper Soap range of personal products is perfect for anyone who wants to travel light and be prepared. No more packing slippery wet soap that turns to mush or relying on harsh Hand Sanitiser's to do the job that gentle soap and water is best for. Anti-bacterial Hand Soap is a 30 pack of dissolvable sheets that give you just the amount you need. 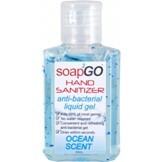 Anti-bacterial Hand Soap is hygienic and fragranced with a great ocean fresh scent. A pack can be slipped into a nappy bag, handbag, pocket, etc for everyday use. Soap2GO Paper Soap products make a great Bon Voyage gift or if you're off on an outback adventure, slip these into your camping gear. 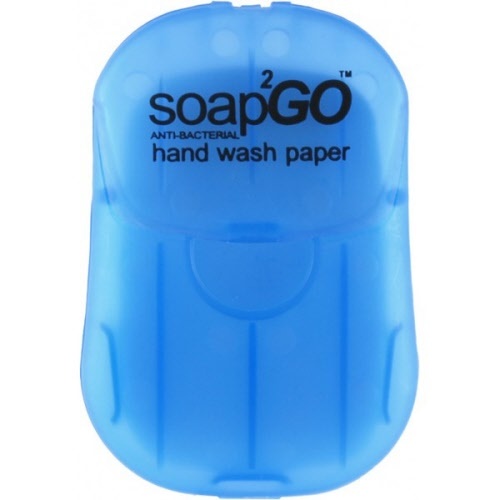 Everyday uses include – Take to the Gym, Park, BBQ, for Mum’s, in the car, or just about anywhere water is available... soap2GO - sheets ahead for the smart traveller! 30 Shampoo Sheets for Shiny Clean Hair. 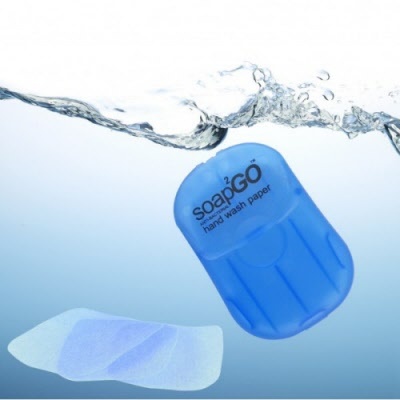 No more bulky bottles of shampoo to leak all through your suitcase.